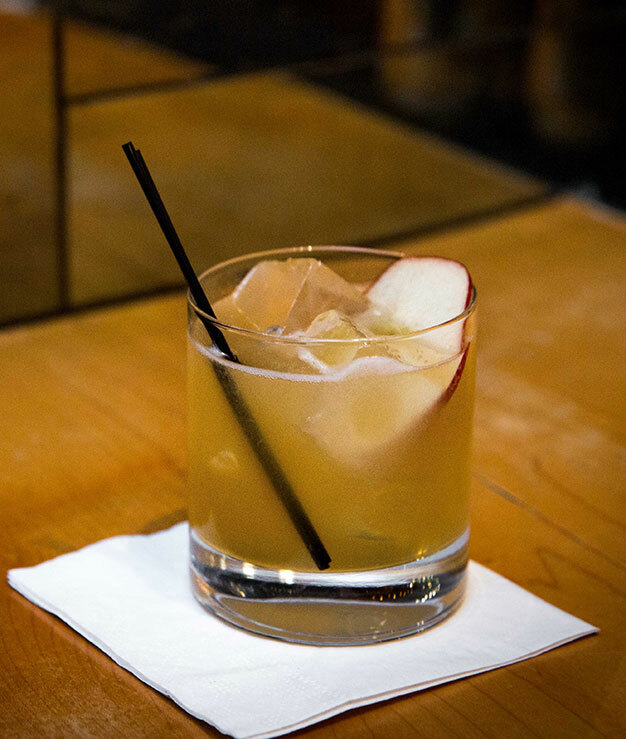 The “Golden Delicious” was created by Jim Kearns while working at the Pegu Club in New York City. A perfect balance of apple, honey and crisp lemon. In a large container, add 2 parts clover honey to 1 part warm water. Integrate thoroughly with a bar spoon and add 1 tsp. of vodka as a preservative. Pour into a squeeze bottle, and refrigerate until use.